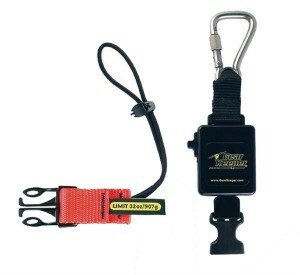 When working at height, the last thing you want to happen is that you drop one of your hand tools on another worker. 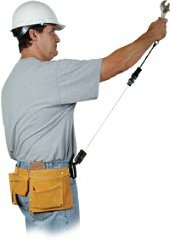 So based on your risk assessment, all hand tools when working at height or reaching out over edges must be connected to your body. Here is a device that fulfills that role in a simple and easy to use manner. 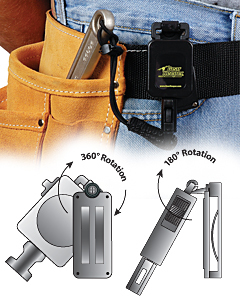 The retractor stays attached to your body via your work belt or harness, and you can if necessary detach the tool from the retractable cable if needed.